Process Vessels for Petro Chemical Industry offered by us are highly in demand for their unmatched quality. The Process Vessels we offer are widely used for containing and controlling a chemical reaction. Owing to characteristics like longer functional life, easy operations, reliability and rustproof construction. 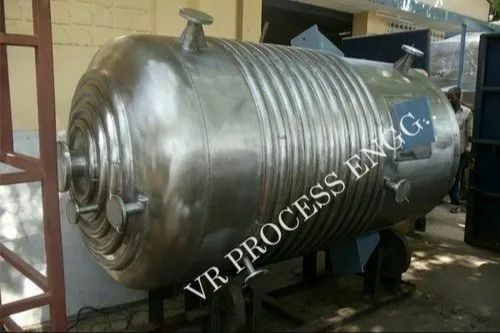 V R Process Engineering Consultants Private Limited is an EPC company into Design, Detailing, Manufacturing and exporting the Extraction Plant, Biodiesel Production Plant, Distillation Plant, and much more. We are also involved in providing Turnkey Services to our customers. Keeping the precise needs of our clients in mind, we manufacture the latest and most advanced Machineries for them. Our quality products promise a longer functional life. Our solvent extraction units are well appreciated among the customers for their low maintenance and minimal flow resistance. To manufacture the quality products, we are supported by a infrastructure that is spread on a vast area with 8000 sqft working area. In our manufacturing unit, we utilize the manpower and equipments to manufacture the products under strict Quality control. These products are rigorously tested to ensure that the required quality is never compromised. Moreover, we export our high quality equipment and plant Machinery to a number of countries which are quite-appraised by our clientele group.